View More In Industrial Labeling Tape. 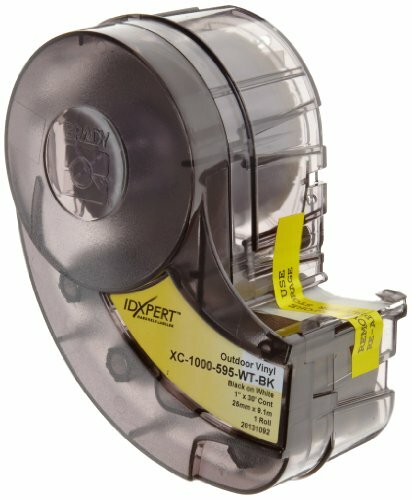 Printable, permanent indoor/outdoor grade vinyl tape for the IDXPERT™ & LABXPERT™ printers. Brady's indoor/outdoor grade vinyl tape adheres well to pipes, walls, equipment, windows - most clean, dry surfaces. Conforms well to irregular, curved or rough surfaces - it even stands up to grease, oil and most industrial chemicals. Five year average outdoor durability in temperatures from 180°F to -40° F (82°C to -40°C), can be applied as low as 0° F (-18°C).